Gone are the days when your local locksmith could comfortably operate out of a small key shop equipped with some simple tools – nowadays the business is a whole lot more complicated. As technology behind locks improved, so did the tools of our increasingly difficult trade. A tiny room in the back of a shop is simply not enough anymore. In fact, Yourway Locksmith has three sizeable specially-designed vans that serve the purpose of carrying all of the equipment that our highly experienced locksmiths could possibly need for any kind of a locksmithing job. There are the usual hand and power tools, which can be found in all hardware stores and are familiar to all of the DIY fans – these include, among many others, pliers, tweezers and various screwdrivers. However, modern locksmiths cannot make do with these alone. The locks are getting more and more complex, the expectations of our clients are growing higher, and the increasingly speedy tempo of our lives dictates that the job has to be done as quickly as possible. This is where special locksmithing tools come into play. We even make some of the tools ourselves, or tweak them in such a way that allows the work to run more smoothly! A snap gun. Also known as a pick gun or an electric lock pick, this formidable tool does a wonderful job of allowing our locksmiths to deal with their lock-out appointments quickly and efficiently. It is used to open one of the most commonly encountered locks – a mechanical pin tumbler lock – without the help of a key. Without this tool, a locksmith would have to employ the more traditional lock picking method which relies on finding the correct alignment of the locking pins and, quite naturally, takes a much longer time to accomplish the goal. We do not like to see our customers standing around in the cold while we are trying to pry their door open and a snap gun always helps us avoid that. It employs a primary law of physics – the transfer of energy – and bursts the driver pins out of the cylinder for a short while, leaving it unobstructed and allowing the door to be opened. It is incredibly effective and it looks cool as well – however, you have to be a police officer or a licensed locksmith in order to be allowed to own one, so our lock picking specialists are indeed privileged to have the tool in their toolbox! A slim jim. The tool looks simple enough – all it is is a long, thin strip of metal. Nevertheless, you should not let the appearance of a slim jim fool you! It functions as an efficient means to unlock automobile doors without the help of a key or a lock pick, and using it correctly does require some serious expertise and significant skill – in the hands of someone other than an experienced locksmith, it can leave the lock completely useless and inoperable even with a key. A slim jim works by allowing the locksmith to place it between the window glass and the weather stripping – it can then be gently guided along the path of the lock. Once the lock is moving, a locksmith simply pulls it upwards and the job is done! It is easier said than done though, as the inside of a car door is filled with various wires that can be damaged by incorrect use of the tool. Nevertheless, this is why our locksmiths like it – it looks exceedingly simple, but it really requires a whole lot of specialist knowledge to make it work. Practice locks. Every true locksmith is fascinated by the complex mechanisms within various locks, and practice locks allow those locksmiths to see them in action – not to mention that these tools take them straight back to their young training days. 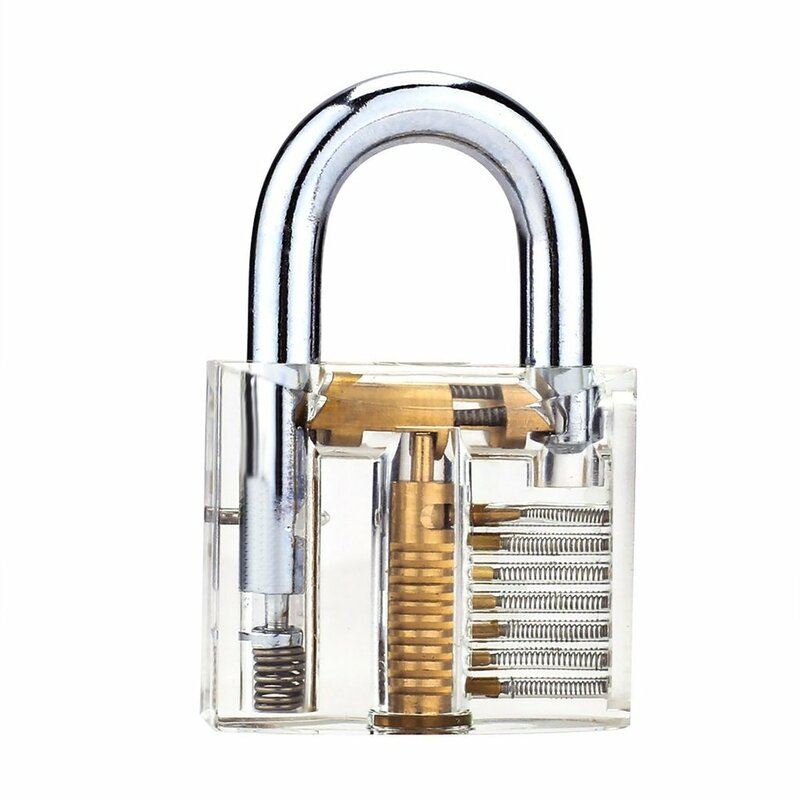 There is a wide variety of clear practice locks on offer, from simple padlocks and tubular locks to combination padlocks, automotive locks and even handcuffs! No locksmithing training is complete without the use of these tools and this is why our employees particularly enjoy using them – they represent the starting point of their love for locks and professional lock picking. As cool as these tools may look, the most valuable tool of all is actually a pair of skilled hands which is used to guide them. This why we at Yourway Locksmith pay particular attention to our employees and make sure to choose only the very best locksmiths to join our ranks.